Facial cleansing foam with aloe juice, birch leaf and hops extracts cleans gently but effectively. 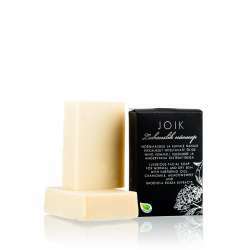 Luxurious facial soap for normal and oily skin with neem and hemp seed oil, green clay and seaweed extract gently cleans the delicate facial skin. Luxurious facial soap for normal and dry skin with nurturing oils and herbal extracts gently cleans the delicate facial skin.